Last week’s email was dedicated to sheep, and these little guys pictured above were feeling a bit left out. And goats, as you may have heard, are known to have a bit of a mischievous streak. At Saxelby Cheesemongers, we don’t want any trouble from the goat powers that be… So, in honor of our caprine buddies, this week we’re crafting a little shindig for the fabulous creature we call the goat. This Sunday, we’ll be celebrating summer (it’s going to arrive, we swear!!) 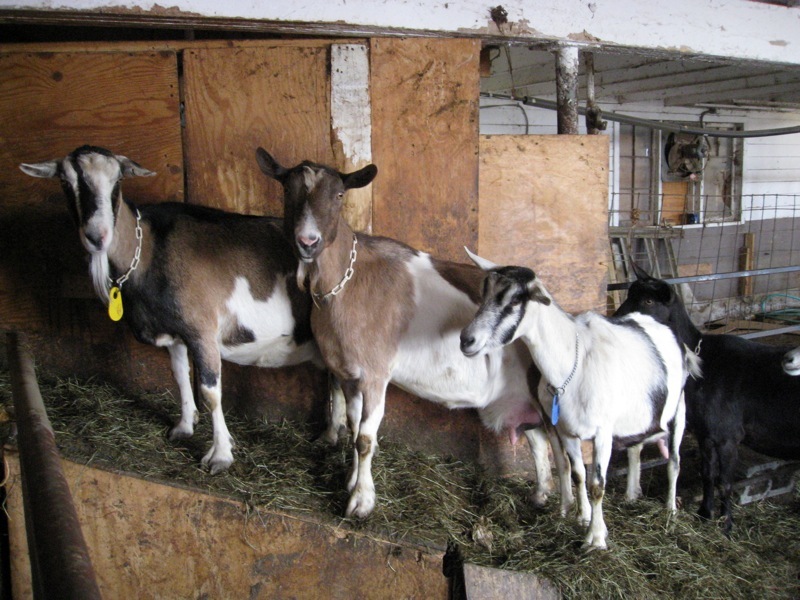 with a wine and cheese tasting devoted to the best of the goats. Join us at Discovery Wines as we guide you through the wild world of chevre. ‘Tis the season for goat cheese in all its incarnations, and we aim to nibble a little bit of all of them. Savor fine, paprika-dusted pyramids from Capriole Dairy in Indiana, earthy weathered field-stone-looking Square Cheese from Twig Farm and racy, caramel-sweet gamey Manchester from Consider Bardwell Farm, just to name a few. Tim from Discovery Wines will be on hand with an arsenal of delicious fermented grape juice to compliment our selections. Think you don’t like goat cheese? Well, we’re here to assure you that there’s much more to it than the tangy, spreadable stuff that bedecks your salad. Come on out and give it a try! We may just make a believer out of you. As for the rain dance… I’m willing to give it a try if y’all are.